EllenG Coaching was created by Ellen Goldman to provide coaching and training to professionals and entrepreneurs who are worried about their health and happiness due to exhaustion, burnout, weight issues and other health challenges. Ellen’s mission is to help business professionals get self-care back on their daily “to-do” list. Through her coaching programs, and online courses, Ellen shows clients how to integrate health into their busy lifestyles with simple, small steps that lead to massive change, resulting in higher energy, improved focus, increased productivity and overall happiness. With over 30 years of experience in and fitness industries working as a personal trainer and certified wellness coach, and as a business owner, wife, and mom, Ellen knows first-hand that you do not need to sacrifice your health and happiness to have a successful career. Ellen is a National Board Certified Health & Wellness Coach and the author of Mastering the Inner Game of Weight Loss: An Easy-to-Follow Guide to Permanent Weight Loss Without Going on a Diet. 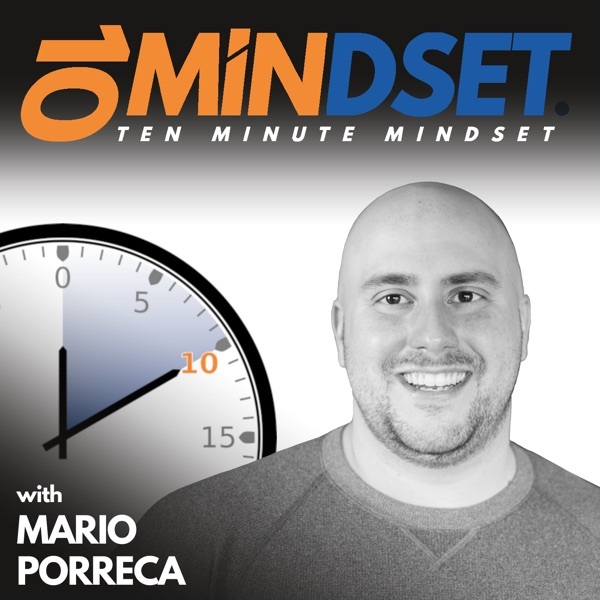 Ellen joined Mario on 10 Minute Mindset to talk about the importance of self-care, why mindset is where it all starts and stops when it comes to our health, and why we have to take control of our wellbeing before we start to notice real problems. Connect with Ellen online at EllenGCoaching.com and follow her on Facebook, Twitter, and LinkedIn.